Thankfully, I’m not an alarmist and realize that MOST (as in the majority of) Realtors are safe, will be safe, and will never have any on-the-job safety issues. Unless, of course, the safety issues are: tripping in the backyard; pulling blinds down on the old noggin; climbing under a low deck to retrieve fallen door keys … don’t ask! Similar to the general public, the “man bites dog” stories make the news and headlines. For the majority of life, we live in a safe environment. Since my brokerage practices exclusive buyer agency — and I don’t take listings or represent sellers — this is about showing property, which buyer’s agents do. While I could write tips about Realtor safety while listing homes, I’ll leave that post up to an ActiveRain listing agent. Obtain some information about the buyer prior to setting up a meeting — I do this in a number of ways, either by calling them directly or having them complete a buyers questionnaire. If we are going to show properties that are listed, it’s very important to know who you are meeting and taking into property. Always knock or ring the door bell before going into a home — Dogs will bark at this sound, but may not with a key turning in the lock (they may think it’s their owner coming in). Try not to show property at dusk and later — While we are still “light” out as evening falls, autumn is fast approaching. Soon, in my area, it will become dark by 4:30 p.m.
Never enter a property alone — If I meet a client at a property, I’ll wait for them to show up before I go into the home. Remove the key from the door — I take the key out of the front door after I have used it to unlock it. There have been times that I have been to property and another agent is showing it ahead of me. They have left the key in the front door lock! YIKES. Lock the door after entry — Unlock door, open door, enter property, close door — LOCK DOOR behind me. That’s the process. Never give the key to the door to ANYONE — I’ve been to property where another agent is showing it ahead of me. When they come out of the house, they’ll hand the key to me! I will never, ever do that. If I pull it from the lockbox, I return it to the lockbox. Don’t let children out of your site — Yup, it annoys me when I become the babysitter. But I’d rather keep a watchful eye on the little darlings, just in case. Lock all doors before leaving — Since buyers can separate in the home during a showing, I make sure I retrace steps and lock all doors, close all sliders, and put that high-tech, sawed-off broom handle back in the track! Buyers can be forgetful. Never meet an unknown person at a vacant property — No explanation needed on this one. Trust your senses — I’ve felt uncomfortable about things before. I listen closely. Once there was a man who wanted to see several properties. For some reason, I Googled his name, and if the name and the man were one in the same, he had been arrested for a few charges, including battery. Knock on closed doors before entering the room — Personally, I do this because I’ve entered too many rooms with a sleeping person or a snarling dog in the corner. Announce “Realtor” when entering an owner-occupied home — I always announce my entrance when I go into owner-occupied properties. Again, I don’t want to alarm anyone who may not have gotten the showing notice. Be careful of trip hazards — Try to spot them before your client does, usually finding out the hard way! Sidewalks, paths into homes, etc., are common sources for trips. I always go up or down stairs first. If someone is going to cling to a loose handrail or bump their head on a low overhang, I’d rather it be me. Don’t ask! 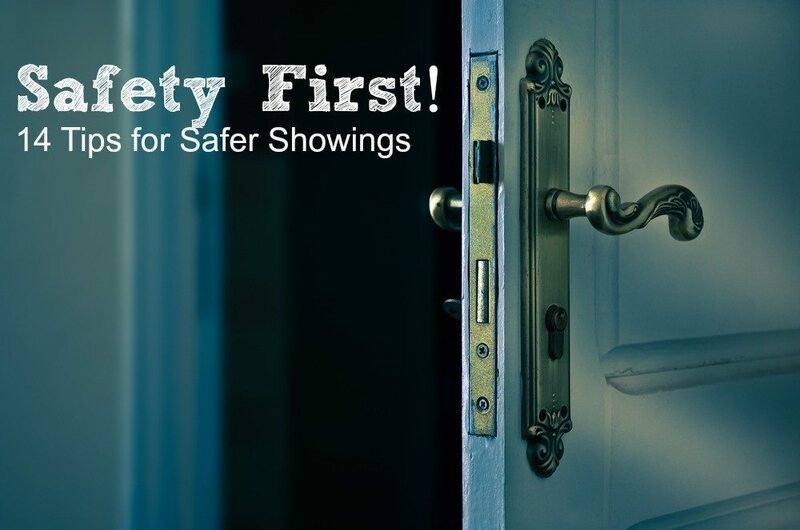 These tips are not only for personal safety, but safety of others and their belongings. Please feel free to add your safety showing tips! This post by Carla Muss-Jacobs, principal broker/owner at Buyers Agent Portland LLC was originally published on ActiveRain.